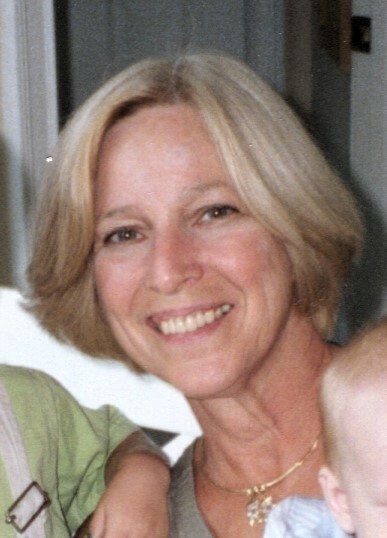 Patricia A. Mayerhofer, 72, passed away peacefully with her loving family by her side on Monday April 15, 2019 at her home in Pawleys Island, South Carolina. She was born on August 3, 1946 in the Bronx, New York to the late Joseph Larkin & Margaret Mulhull Larkin. A faithful woman, Patricia was a proud and active parishioner of Precious Blood of Christ Catholic Church in Pawleys Island. Patricia was a selfless woman who dedicated her time and inspiration to the Dragon Boat at the Beach. Her family and friends would describe Patricia as having a personality larger than life, a smile that could light up the darkest of rooms, and a sense of humor that was infectious. Patricia will always be remembered for the amazing wife, mother, nana, sister, aunt and friend. She will be truly missed by all who had the honor of getting to know her. Left to cherish Patricia’s memory are her beloved husband, George T. Mayerhofer, with whom they would have celebrated 50 years of marriage in May of this year. She also leaves her daughter, Christine Elliott and her husband, Thomas of New York; her adoring grandchildren, Tommy, Jack & Ryan; as well as her brother, James Larkin and his wife, Stephanie of Ohio. A Celebration of Patricia’s life will be held on Tuesday April 23, 2019 at 11:00AM at Precious Blood of Christ Catholic Church, 1633 Waverly Rd, Pawleys Island, SC 29585. Inurnment will follow immediately within the church columbarium. Burroughs Funeral home & Cremation Services of Murrells Inlet (843.651.1440) is honored to be assisting the family during this difficult time.